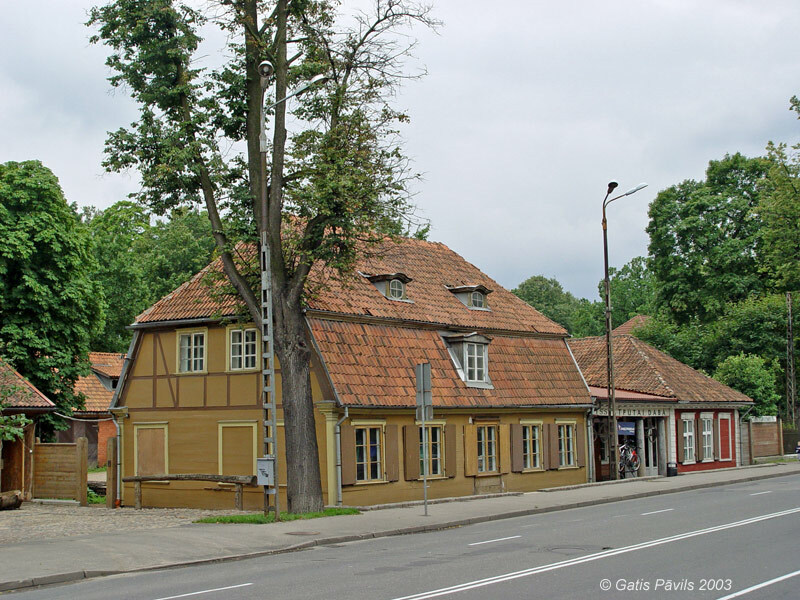 One of the most beautiful elements of the unique cultural landscape in Kalnciema Street is the complex of Hartmann manor houses. 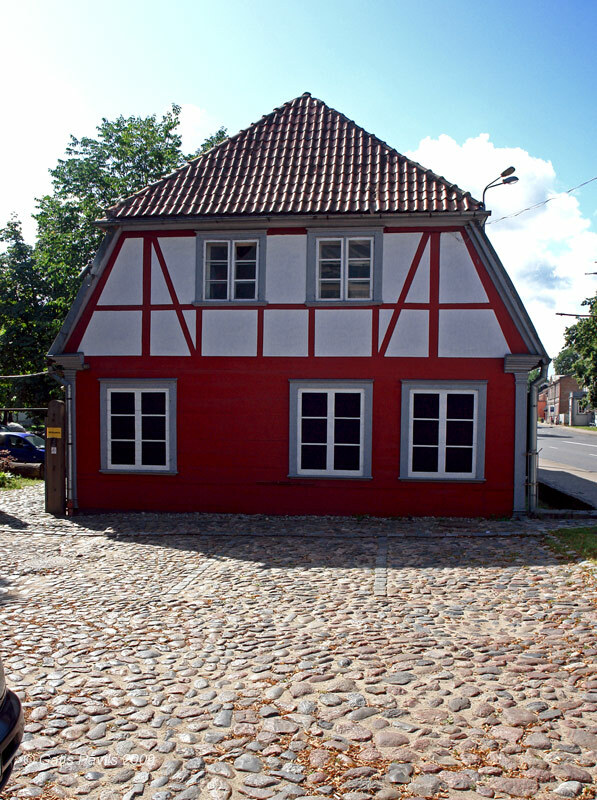 The old manor house is built in 1786 or shortly before. 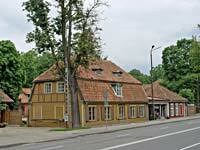 This is the oldest building in the complex of Hartmann manor. 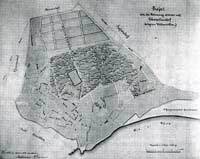 In the plan from 1757 whole area of the manor of Heinrich von Hagen including the area of the future Hartmann manor is covered with forest. 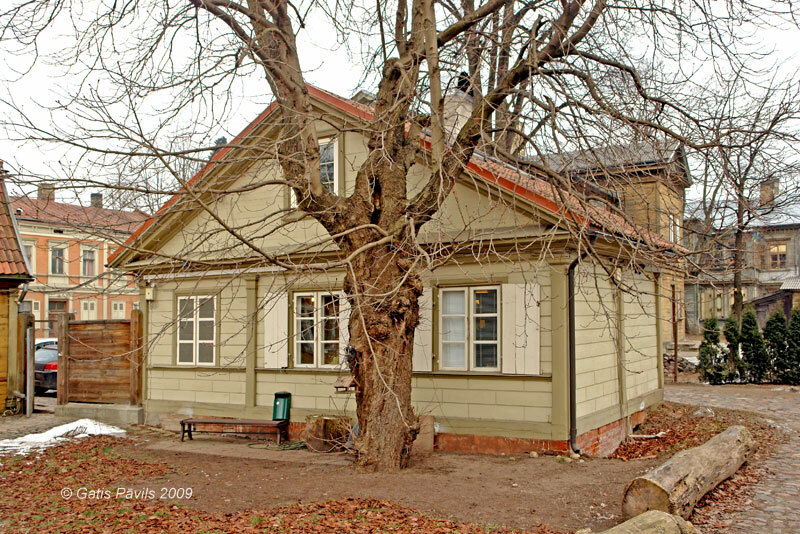 Even in 1873 there was a forest behind the Hartmann manor, towards the Kapselu Street. In 1786 the land plot of manor belonged to forester Johann Blomberg – manor house has been built in this time or shortly before. The building has been mentioned in the list of inhabitants from 1786 as repose manor for court employee K.Kron. Since 1811 both manor houses belonged to Brittish merchant, town councillor Johann Jacob Collins (1767 - 1847), J.C.Brotze depicted it in this time – in 1814. Collins came to Riga from Koenigsberg, he was a member of Blue guard, social activist. His mode of life required premises for representation, for reception of high guests. In his time, shortly after 1806 next to the old manor house there was built a ball-room. 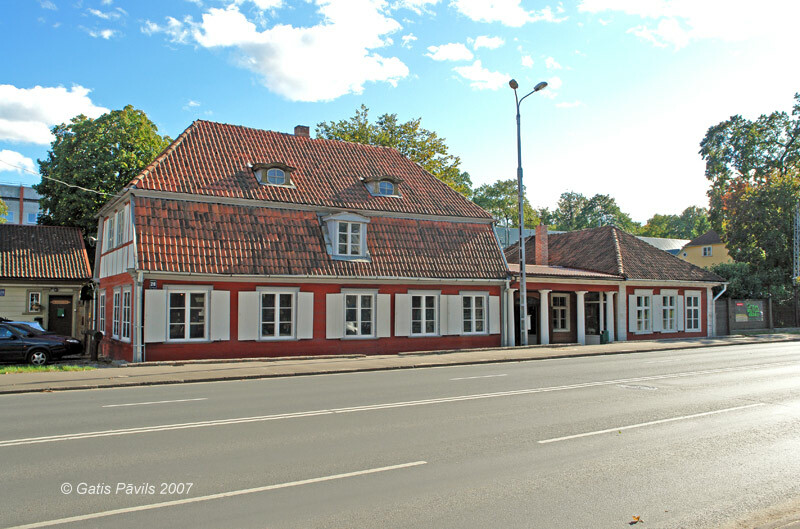 Johanna Gertrud Fenger became the owner of the new Hartmann manor in 1824, later she obtained also the manor on Kalnciema Street 28. 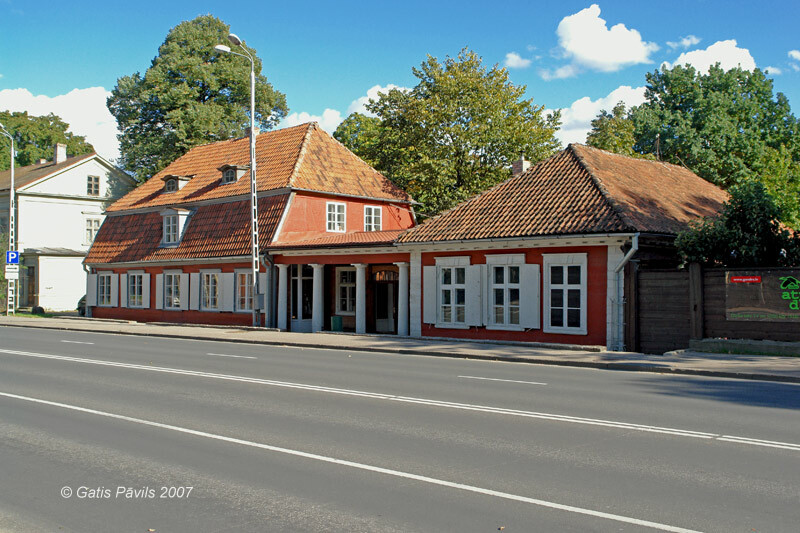 At the second half of 19th century, as the daughter of Fenger married a merchant and leader of the Great Guild Wilhelm Hartmann, both land plots were merged and since then both together are called – Hartmann manor. After the death of W.Hartmann the manor was inherited by his daughter Ida von Klott. at this time here live baron P. von der Osten-Sacken. 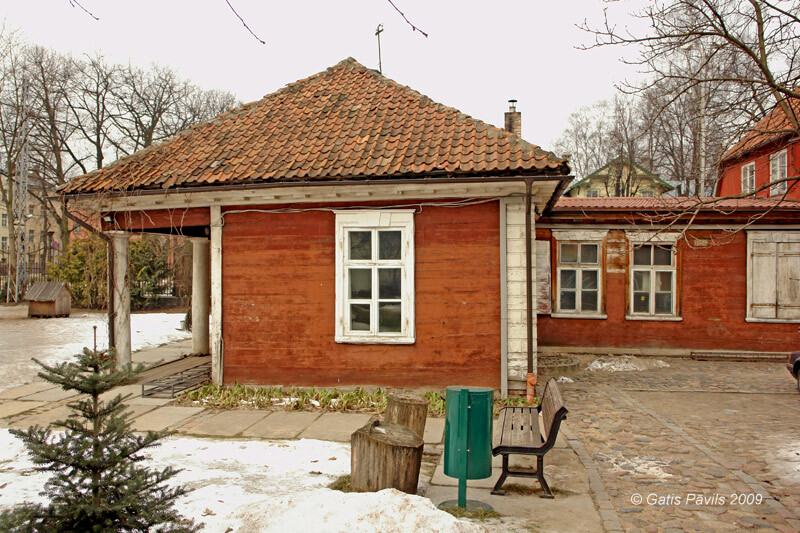 In 1939, when she repatriated to Germany, the building was taken over by Latvian credit bank. Restored in 1960. In 1994 restoration started. 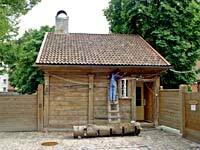 The house is built as a loghouse, with French roof. Ball-room has been added in 1806 – it has got a collonade towards the street consisting of 2 wooden columns in Tuscan order. 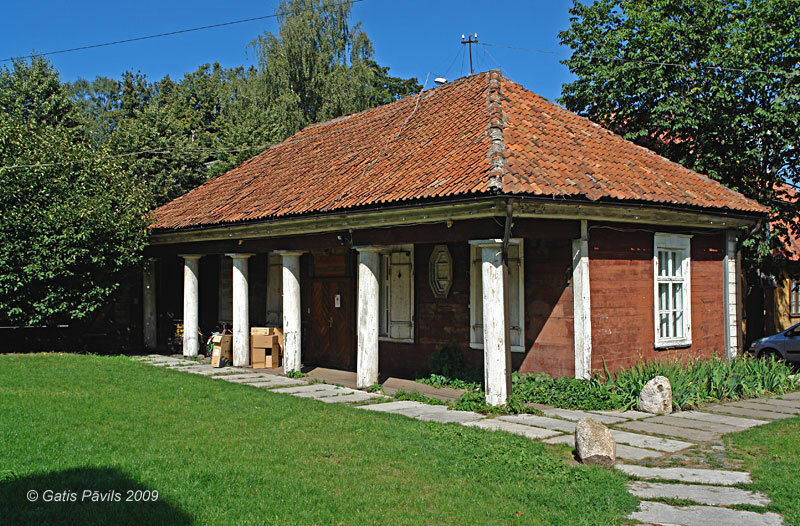 At the first half of 19th century there has been constructed also the part with porch which connects both parts of the manor house. For visual stability this part got 4 columns. In 1929 the porch has been rebuilt and turned into enclosed room. Up to the beginning of 20th century the entrance was only from the courtyard. Below the roof covering of tiles there has been preserved also the original deck of wooden planks – such constructive detail of Barocco times has been rarely preserved. At the beginning of 20th century there were used also glass tiles in the roof to light the attic. Nearby there still stands the old park and so called new building of Hartmann manor. 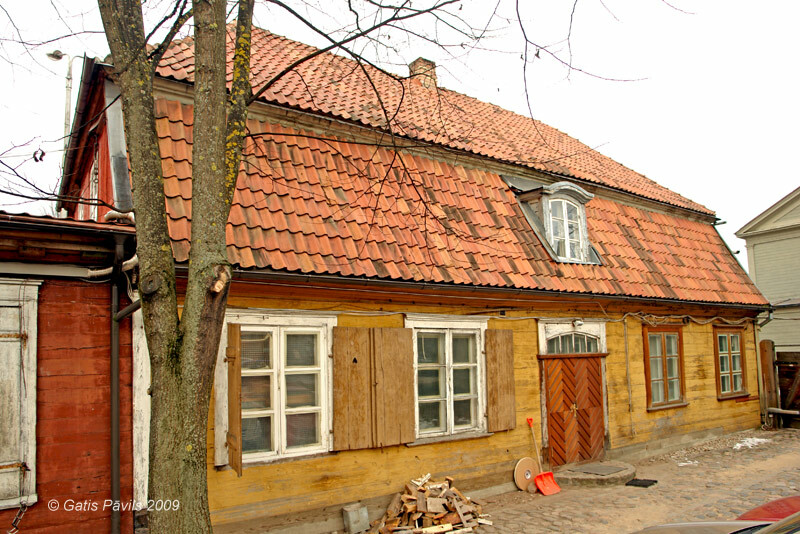 The old Hartmann manor. 2003.08.22. The old Hartmann manor from the courtyard. 2009.02.04. Ball-room of the old Hartmann manor. 2009.02.04. Ball-room of the old Hartmann manor. 2009.08.24. 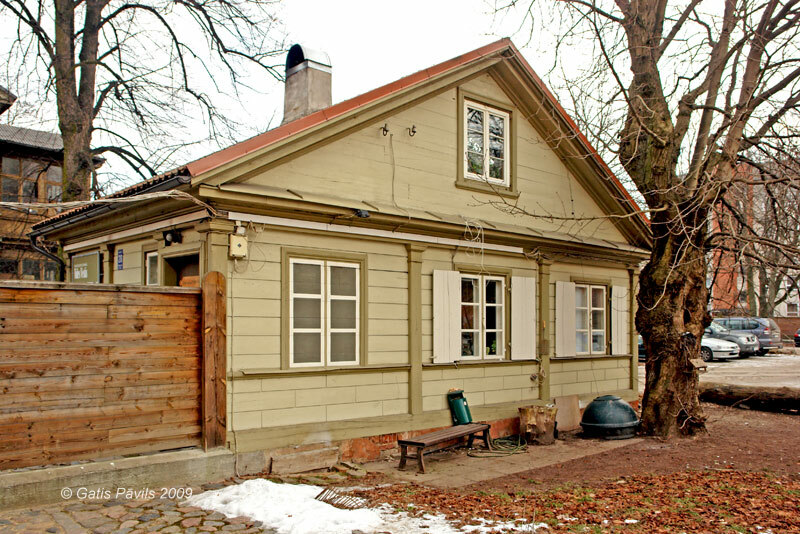 The old Hartmann manor. Looks better than 100 years ago (see below). 2007.09.16. The old Hartmann manor, house of gardener. 2009.02.04. The old Hartmann manor, house of gardener. 2003.08.22. 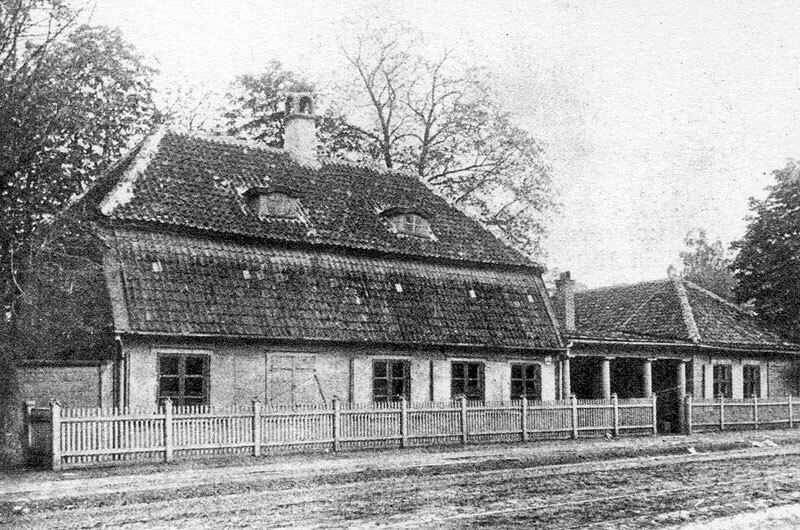 The old Hartmann manor after 1900. Visible the once characteristic light accents of cornices and transparent tiles. 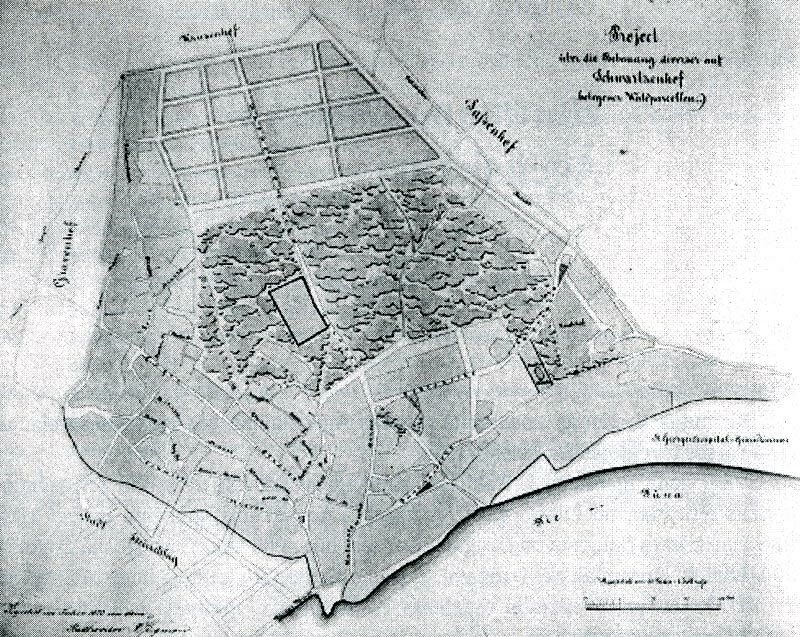 Development plan, Hartmann manor, 1873. 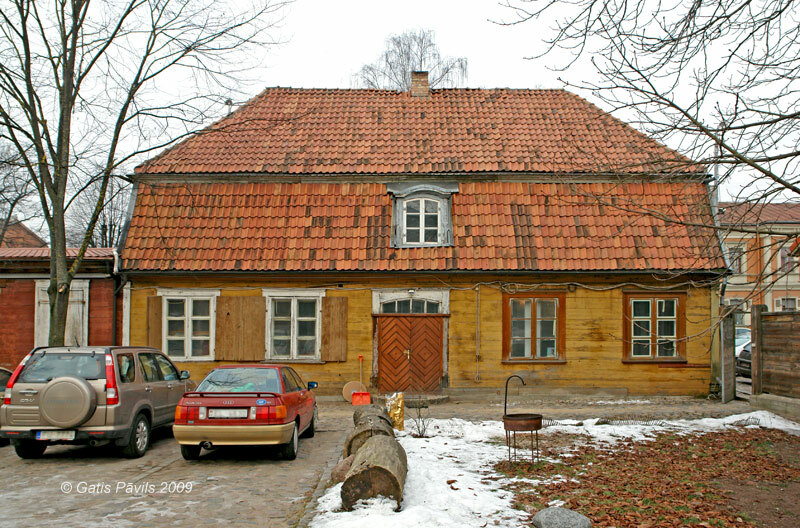 The old Hartmann manor. 2009.08.24. Koka Rīga, Rīga, Neputns, 2001, 97., 202. lpp. Vītola T. Hartmaņa muižiņa Āgenskalnā, Senā Rīga. Pētījumi pilsētas arheoloģijā un vēsturē. Rīga, 2000, 219. lpp. 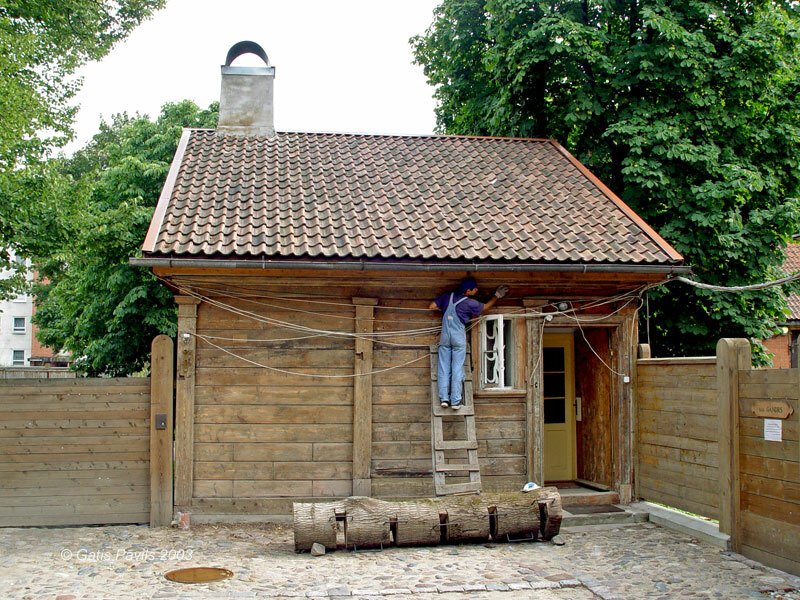 Rīgas ielas, enciklopēdija, 3.sējums, Rīga, 2009.g., 281.lpp.